CrossPointe’s Women’s Ministry provides opportunities for women to grow in relationship with the Lord and with each other. 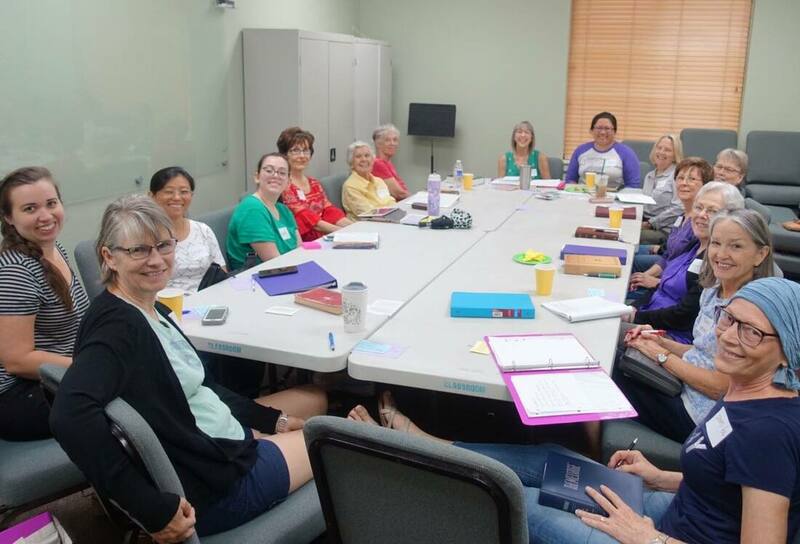 Our ladies’ Bible Study is offered on Wednesday evening (7:00 – 8:30 p.m.) and Thursday morning (10:00 – 11:30 a.m.) at the church, and we offer off-site Bible studies as well. Please contact cpwomenatx@gmail.com if interested. The annual Women’s Retreat is another way to experience spiritual growth, along with recreation and relaxation. The 2019 Women's Retreat will be held at Camp of the Hills in Marble Falls. Click here to download the registration form with further information. Periodically, we will meet for dinner or read and discuss a book. The women of CrossPointe also enjoy fellowship while serving the community and our church family through special events. The Women’s Ministry is a great place to invite your friends, to connect with one another, and to grow in Christ. For more information you can either fill out this contact form or email us at cpwomenatx@gmail.com. You can also join us on Facebook.